This British thriller sees the Simon and Eleanor Ashby just days from receiving their inheritance from a local lawyer after the deaths of their parents and elder brother. As the inheritance draws closer the alcoholic Simon becomes stranger and more withdrawn, a situation made worse by the arrival of a man claiming to be their long lost brother, Tony. As Tony and Eleanor become closer the behavior of Simon becomes more erratic and tinged with mystery when a masked choirboy is seen on the grounds of the house. 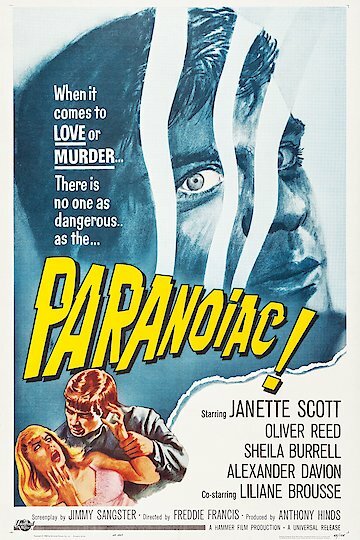 Paranoiac is currently available to watch and stream, buy on demand at Amazon, Vudu, Google Play, FandangoNow, YouTube VOD online.